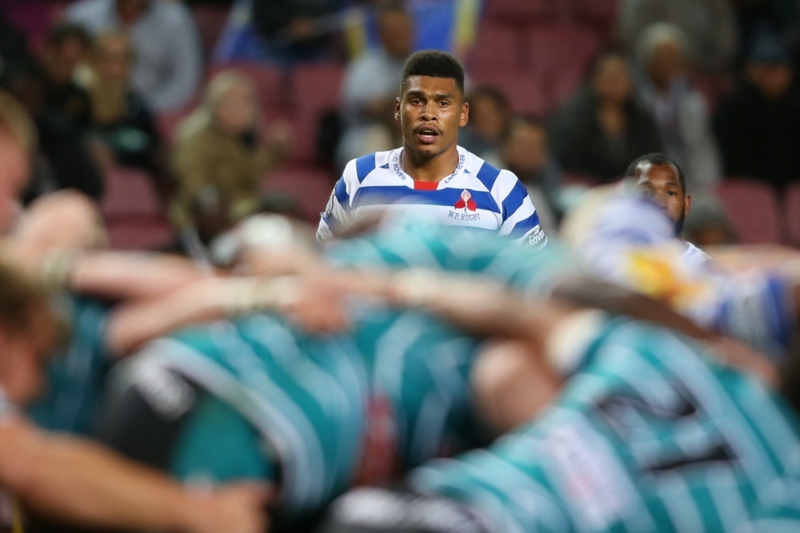 After starting at fullback in the rain against the Bulls last weekend, Willemse has been shifted to flyhalf for Saturday’s playoff match. The 20-year-old Springbok forms an exciting halfback combination with the equally youthful Jantjies, who has done well since taking the reins from injured mentor Jano Vermaak. The Bulls, meanwhile, have a different halfback pairing, with the slightly more experienced Ivan van Zyl partnering Manie Libbock. 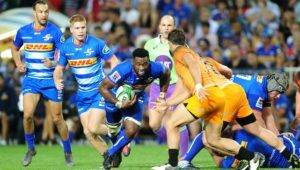 Dobson explained that Jantjies’ style as a classic scrumhalf means that Willemse can expect to get the ball on the front foot more often. ‘I am very pleased with Herschel’s progress,’ Dobson said. ‘He is a good clearer and passer. He is not one of those guys who picks up, has a look and then passes. 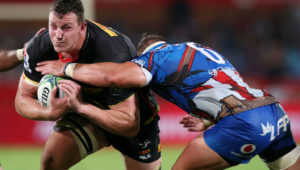 His job is to get the ball to Damian Willemse. 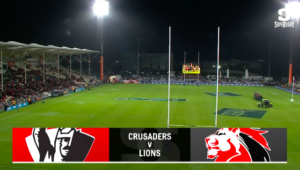 ‘It is a classic old scrumhalf game, [running] supporting lines and clearing fast. It is so nice that he has been a sort of appie to Jano and now come through. ‘Our challenge is to get the ball to Damian, let him get some go forward ball to run on to. With those feet, his decision-making and his pass – it is devastating. 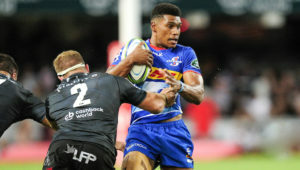 Dobson added that the playmaker combination between Willemse, fullback Dillyn Leyds and wing SP Marais allows Willemse to get the ball later in the phases. 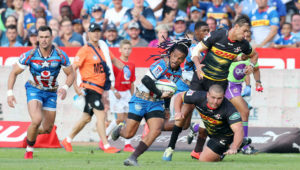 ‘I think we have seen at national level as well as last year, he [Willemse] is a very good fullback. In the Currie Cup last year, he went there to fit the team because we thought it was the progression of his career. ‘If you do that system then Damian gets the ball a bit wider or comes in from the back, then it is devastating.